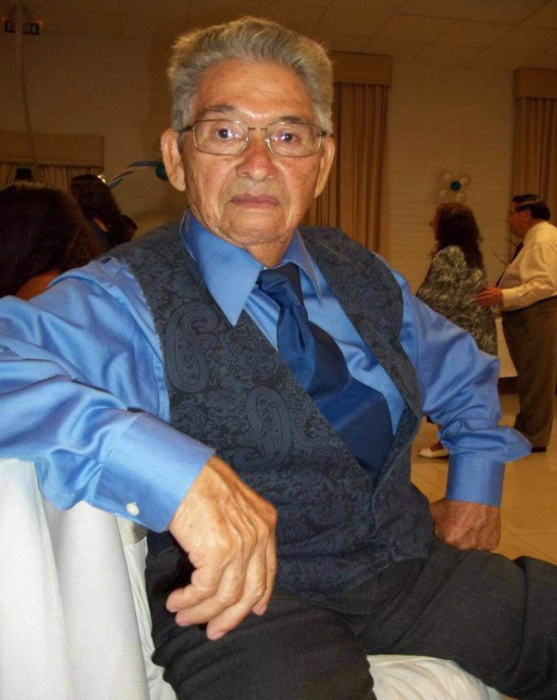 Luis Alberto Parraguez, age 87 of Orange, Texas, passed away with his family by his side on Sunday, April 14, 2019 in Beaumont, Texas. A memorial service to honor Luis's life will be held at 3:00 PM on Friday, April 26, 2019 at Dorman Funeral Home Chapel. Family and friends will gather for a visitation from 2:00 to 3:00 PM at Dorman Funeral Home. Luis was born in Buin, Chile on September 26, 1931 to Rosa Aguilera Parraguez and Luis Parraguez. He served in the Chilean Military. Luis married his wife Enedina on June 26, 1954 and moved to the United States in 1969. The couple both became proud legal citizens of the United States. Luis was a very accomplished jeweler and his family will always treasure the beautiful pieces he made for them. Luis was one of the most unique people to be around. He was always upbeat, smiling, laughing, dancing and joking with everyone he met. Luis loved to travel with his family to various places and attended seven World Cups. He enjoyed playing soccer until he was 70 years and had to stop due to a stroke. Luis was more than just a husband, father, grandfather and great grandfather, he was the dependable friend that everyone could count on. He is survived by his loving wife of almost 65 years, Enedina del Carmen Parraguez and four children; Jeannette Parraguez Rivera and her husband Mariano Rivera, Christian Parraguez and his wife Carol Lynnette, Patricia Parraguez and Angelica Enedina Parraguez Avila. Grandchildren; Marie Pillsbury and her husband Richard, Mariano Rivera, Michael Rivera, Matthew Rivera, Marcus Rivera, Martin Rivera, Andrew Christian Parraguez, Gabrielle Parraguez Zimmerman, Ryan Luis Parraguez, Rolando E. Gomez, Jr., Mauricio D. Gomes, Erika E. Gomez, Ashley Alexandria Avila and Alison Analee Avila. Great grandchildren; Cameron Edward Parraguez, Natalie Grace Parraguez, Mireya V. Gomez Reid, Mariah L. Francis, Avery L. Gomez Longmire, Mauricio I. Gomez, Gregory Rodriguez, Aaliyah McNally, Andrew McNally, Reinaldo Rivera and Nicholas Perez. Great great grandchildren; Abdieliz Nunez and Emma Rodriguez. There's still time to send flowers to the Visitation at the Dorman Funeral Home from 2:00 PM to 3:00 PM on April 26, 2019.